Getting free garden seeds is not impossible, although it will take some effort on your part. However, it is a great way to add diversity to your garden and diet, and can save you money and be fun if you do it correctly. Local Garden Clubs – Check with your library or other information sources, like Meetup.com, for local gardening clubs that are sponsoring seed trades and exchanges. Cooperative extension office – They often hold educational classes on gardening and identifying plant diseases, attracting local gardening enthusiasts in the process. Attending these educational sessions might be a great way to network with other gardeners in your area. 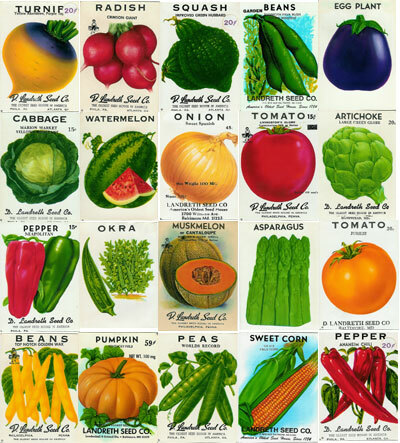 Bulletin boards – Print out a Free Vegetable Seeds Exchange poster on any bulletin boards, usually located in grocery stores, Laundromats and even feed stores. Craigslist – If you have a local Craigslist, then you can post an ad in the “Wanted” section stating that you are looking for unused or partially used packets of garden seeds. Also check the “Free” and “Barter” sections in Craigslist for those that are offering to give away or trade seeds. Freecycle – Look for people giving away their partially used packets or even unopened packets of garden seeds. Facebook – Check for Facebook groups of local gardeners, farmers, homesteaders, backyard farmers for those interested in a seed exchange. Wintersown.org – Features three different offers of free garden seeds, with just an SASE and the printout of the appropriate offer page. The three different offers include the “Six Pack Case” of their choice of annual, perennial or vegetable seeds; the “Your Choice Tomato” offering about 150 varieties of tomatoes; and the “Group Seed Request” for groups and neighborhood projects. America the Beautiful Fund – Through healthyshasta.org this program saves unsold seeds from being destroyed by the seed companies, then turns around and gives them to community groups and beautification projects. Freeplant.net – Instead of free garden seeds, this program offers actual plants, including tomatoes, berries, herbs, trees, ornamentals and flowers all by submitting your name, address, email, and phone number. NOTE: You would be wise to create a separate email address for this offer or to simply NOT fill in the email and phone number information, since this website also seems to be offering a wide variety of “freebies”, which could result in a lot of unwanted spam and emails. Gardening and Gardener Forums – Often you will find forums dedicated to gardeners and backyard farmers that will feature a seed exchange or even free seed offers just for an SASE. One such forum is Garden Web. The Garden Hoard – Provides both flowers and ornamental, as well as some vegetable seeds, which you can add to an SASE List. Once your list is complete you print out the list, send it SASE by snail mail and they will send six out of the eight seeds on your SASE Wish list. Of course, as long as you are going down the heirloom varieties route, the best way to acquire free garden seeds is to save seeds each harvest. One advantage of saving your own seeds is that you know that they have produced well in your particular climate and soil, so you are less likely to have production issues next year. If you are acquiring seeds through face-to-face meetings with strangers, such as you might get responding through Craigslist, make sure to arrange to meet in a public place, and exercise caution. Good luck getting your free seeds, as you can see there are many avenues to get hold of just what you need. ie: free seeds = free food; and who wouldn’t want that.